We are the pioneers of the Third Wave Coffee movement in the Okanagan, which makes us the best choice to help you prepare the perfect cup for your guests. 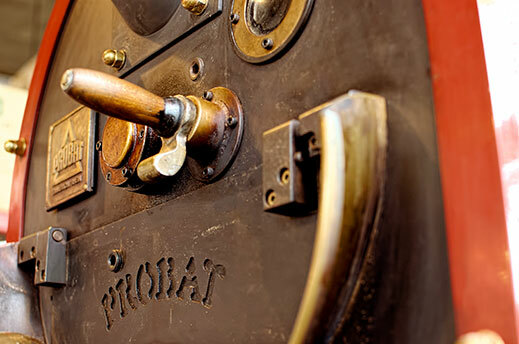 Our veteran Probat roaster is used to meticulously roast each one of our bean profiles, artisan style. This means that we use no gimmicky computerized equipment to roast our beans for us…. our head roaster is in control at all times. Our roastery is strictly “on demand” which means we don’t roast your coffee until the day it is ordered. Everything we do is predicated on providing the freshest, most perfect coffee. No exceptions. Period. At Bean Scene, we have the advantage of not only excelling in coffee roasting, but also in retail coffee operations. This helps us to truly understand the nature of your business, to custom tailor your coffee program, and to provide all of the training and product knowledge you will need to pour perfection. With this experience, we are privileged to provide coffee and services to some of the most sought after dining rooms and coffee shops in the Okanagan Valley. Coffee is the last impression a guest will have of your dining room. Coffee is the ONLY impression a guest will have of your coffee shop. Make them remember.